With over 35 years of experience Maddock Machinery knows how to keep the rubber on the road. From L.O.F. services and D.O.T. inspections to complete powertrain repair and replacement our A.S.E. Master Technicians have the skills to get the job done. Maddock Machinery prides itself on being the one stop shopping experience for everything your work truck needs. 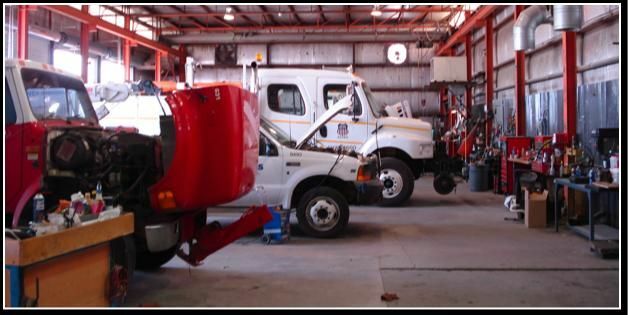 From major municipal fleets, to single unit operators we offer the same quality, honest, professional service that allows you to concentrate on your core business. From the chassis to the boom mounted welder we can do it all. In addition we service everything we sell, so parts and service are never miles away. Don't worry about the trucks. We've got you covered.